Classic tailored bag fabricated from croc embossed calf leather with rows of faceted Swarovski crystals punctuating the flap. Lock closure secures contents with a simple “click”. 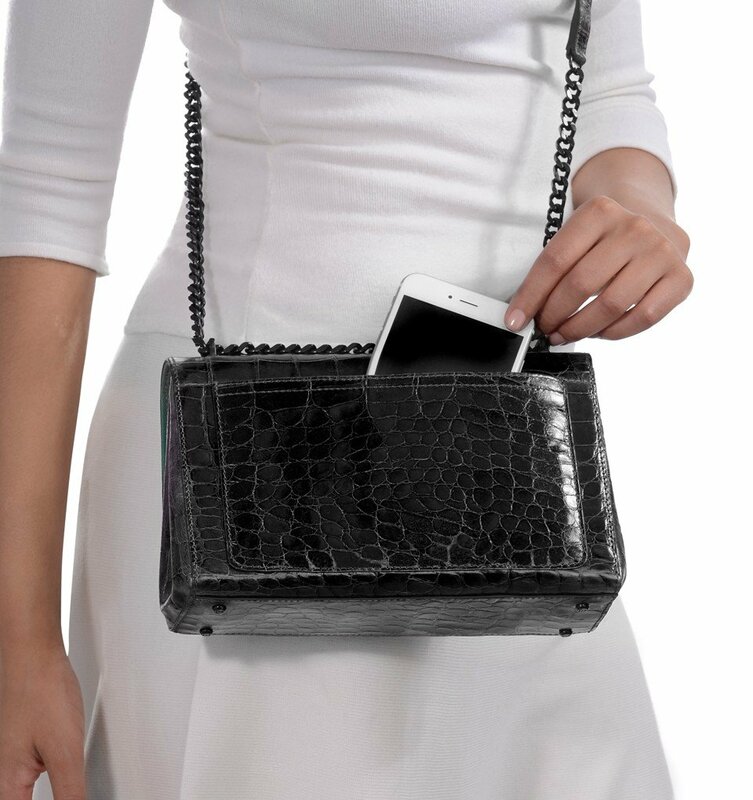 Discreet hardware lets in the richness of the polished leather to prevail; chain shoulder strap (11.5″ drop) pulls in the course of the flap holders so as to wear the bag at cross body length (22″ drop). Bag bottom has protective metal feet. Discreet patch pocket on reverse is easiest for a smartphone. Inside of: A water repellent micro suede lining which is sumptuous, durable and simple to wash, sidewall zipper pockets, and patch pocket. All Eric Javits bags are lightweight and durable.